Blogging niche is about what the content of your blog is all about. For example, a blog about food, its nutrients, how to prepare them and its related stuffs is a food niche blog or like mine is about making money online, so i will be taking you through on a variety of lists about blogging niches you can choose from. 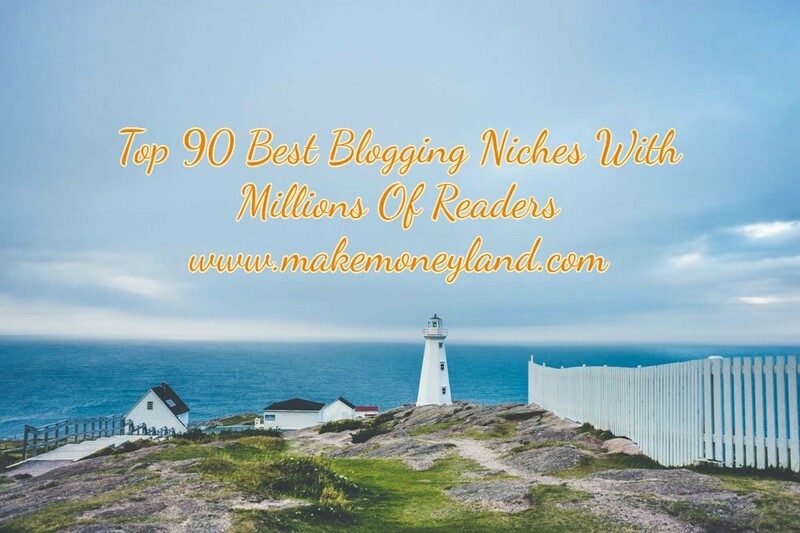 What new or upcoming bloggers don't know is that the niche you choose determines how successful your blog will be at the long run, a lot of people make this mistake of choosing the wrong niche and they end up with nothing. Not having basic knowledge of the niche, example you might be a professional accountant and you jump into a blog about cars. To Focus: When you are blogging about different topics together in one blog, here are two things that takes place, one you confuse yourself and the second reason is you confuse your visitors. Except you have much budget with you then you can run it just like we have Dailymail. For your visitors to find you: Being on a road to a destination creates purpose and popularity. You might not know much in that niche but as you write more and more your passion and experience grows and the visitors tend to recognize and bookmark your blog on the process. Another reason is the search engines takes note of your blog due to the constant and repeated keywords the crawlers go through. Popularity: When you become an authority blogger in that niche, then you already a celebrity. This brings more income such as being called to give a speech in a gathering concerning your topic. This in turn creates trust for the author. Time: Having a niche saves time for you because time spent in covering many different topics in your blog can wear you out. Looking at the points above, if any of this is affecting you in your niche, then its time to think twice. The last point there is very important, you might escape all other points but when there is much competition in the topic you blog about then there's danger, unless you have a nice strategy in mind you can use to apply to turn the table around. The problem people face is the authority blogs in your niche may not allow you to appear in the first page of Google. Am going to list a lot of niches, starting from the general to the micro niches. Please choose carefully from the above niches and make sure you have an idea of it. You can add yours in the comment box and please don't forget to share with friends using the share buttons. Copyright © 2017 Makemoneyland.com. All rights reserved. Powered by Blogger.